The newest member of the Walmart e-commerce family is Parcel, a technology based, same-day and last-mile delivery company specializing in perishable and non-perishable delivery to customers in New York City. They also provide services like scheduled evening delivery and custom text message notifications for high-growth e-commerce companies looking to differentiate their customer experience. So, what does this all mean for Walmart? We caught up with Nate Faust, senior vice president, Walmart U.S. eCommerce Supply Chain, to find out. Why acquire a delivery company? Delivery is increasingly one of the most important elements for today’s online shoppers, as demands for speed, flexibility, and reliability continue to grow. That’s why my team spends a lot of time thinking about ways we can make deliveries faster and more convenient for customers. Parcel is a proven leader in e-commerce package delivery, including taking fresh, frozen and perishable food, the last mile – that is, the last step in the shipping process as products make their way from a fulfillment center to your door. What are your plans for Parcel? Parcel has partnerships with several meal kit, grocery and e-commerce companies, and has delivered more than 1 million meals in the past two years. So our immediate plan is for Parcel to continue serving its existing clients and growing its customer base. There’s a lot of upside and I’m excited about the potential there. But I see even more upside for our own same-day deliveries. Jet has been testing free same-day delivery of certain orders to customers in New York City. We can build upon that and plan to leverage Parcel for last-mile delivery to customers in New York City – including same-day delivery – for both general merchandise as well as fresh and frozen groceries from Walmart and Jet. Can you tell us more about their operations today? Parcel is a 24/7 operation that delivers packages the same day, overnight and in scheduled two-hour windows. They’ve built a technology platform from the ground up to automate their operations and provide clients and customers with live updates throughout the delivery process. From a warehouse in Brooklyn, Parcel receives packages destined for customers throughout New York City. Using routing algorithms, a fleet of leased trucks, and a professional, employee-based workforce, they’re able to quickly sort and load packages for delivery routes. How much did Parcel’s New York location factor into the decision to acquire them? New York City is the top market for both Jet and Walmart.com, and because of the density of the area – along with the proximity of our fulfillment centers – it’s the perfect place for high-impact innovation. 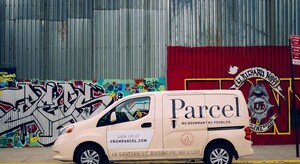 Born and bred in New York City, Parcel has developed unique expertise delivering to customers in a distinctly challenging and essential market. This acquisition allows us to continue testing ways to offer fast delivery while lowering our operating costs. Outside of large metro areas, do you think customers really want same-day delivery? Customers’ expectations around delivery and what is possible have changed significantly in the past couple of years. Whatever they need and however they’d like it, we aim to provide – including the ability to offer last-minute ordering with same-day delivery service. And while customers are looking for low prices, we also know they want convenient experiences that make shopping easier. It’s why we’ve focused on creating more options to meet their needs, such as our free two-day shipping to home, our pickup discount and free online grocery pickup service. It’s also the reason we’ve been testing a number of different innovations at Walmart and Jet to further enhance how we serve customers even faster, with programs ranging from associate delivery to in-building and in-fridge delivery with Latch and August Home. We’ll continue to explore more ways to give customers the freedom to choose how, when and where they receive their orders from us. For additional facts about Walmart’s acquisition of Parcel, check out this fact sheet.